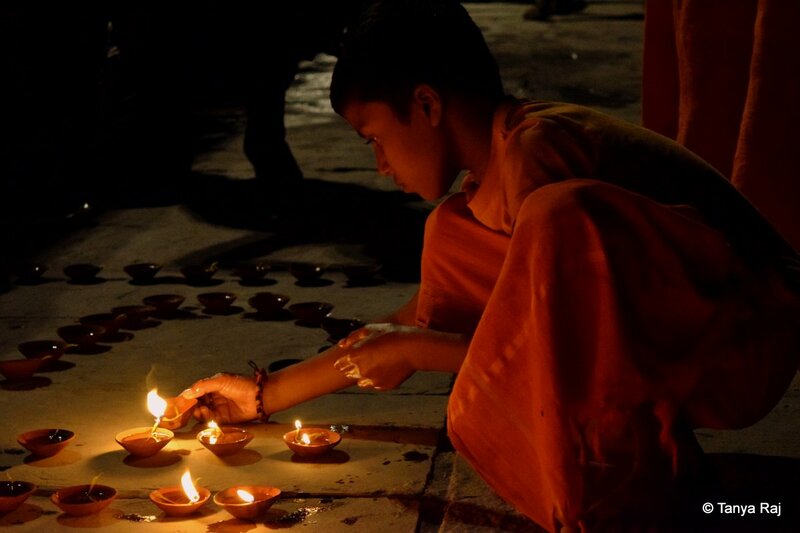 Varanasi celebrates Dev Diwali – Diwali of the Gods, which takes place 15 days after the usual Diwali festival on the full moon day. 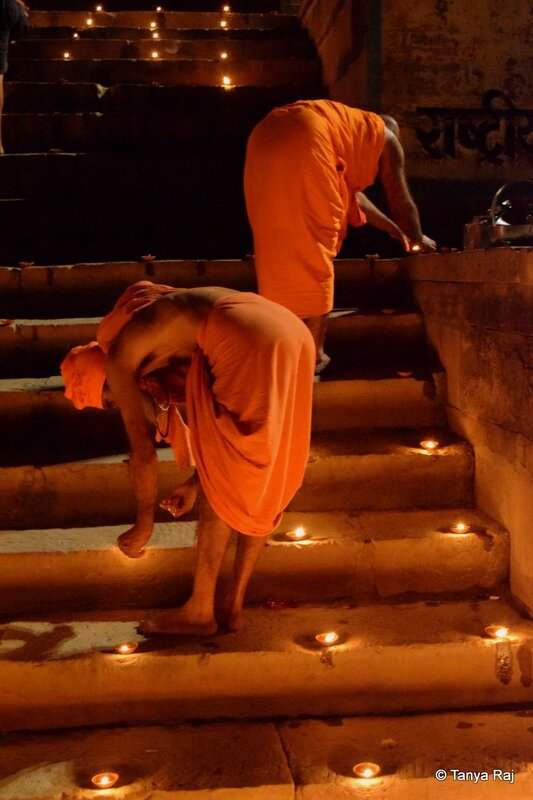 Morning sees the devotees swarm the riverbank to take a dip in the holy river and as the sun sets, the ghats are lit up with a million tiny lamps to honour the Divine. 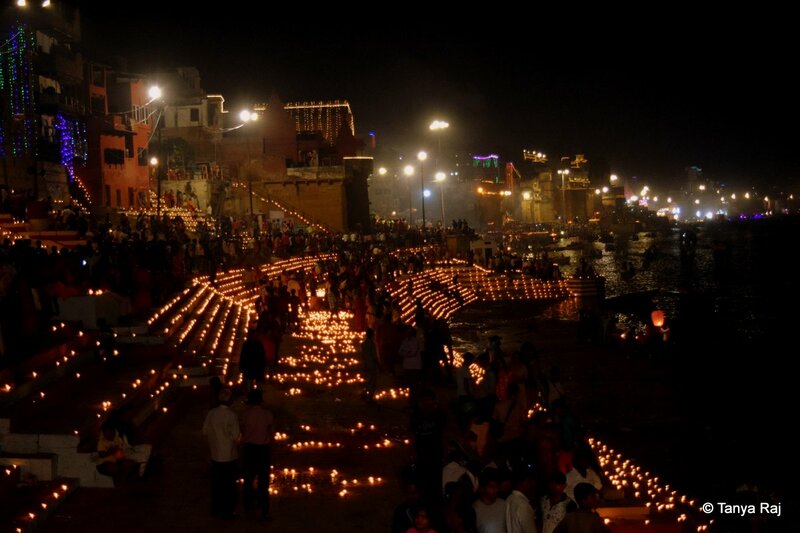 The length of the ghats are lit up in grand splendour and are certainly a sight to behold. The arrangements are done meticulously hours before the festivities begin. 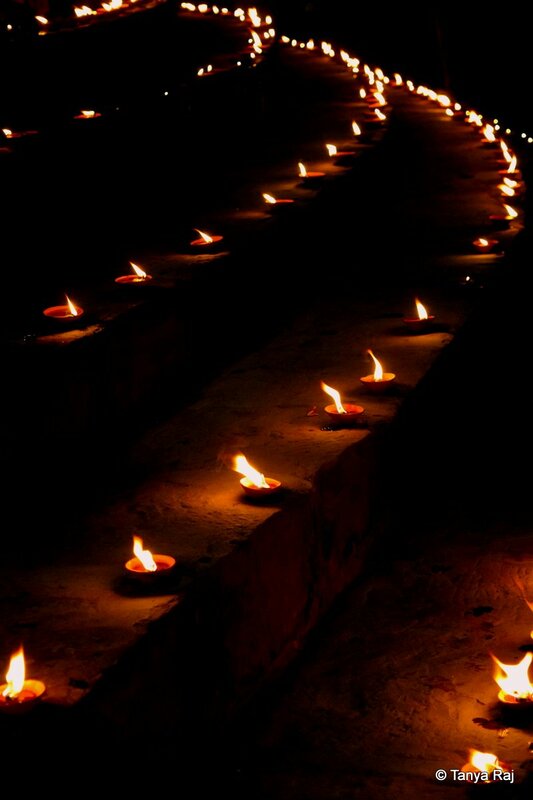 Rows of lit up earthen lamps. 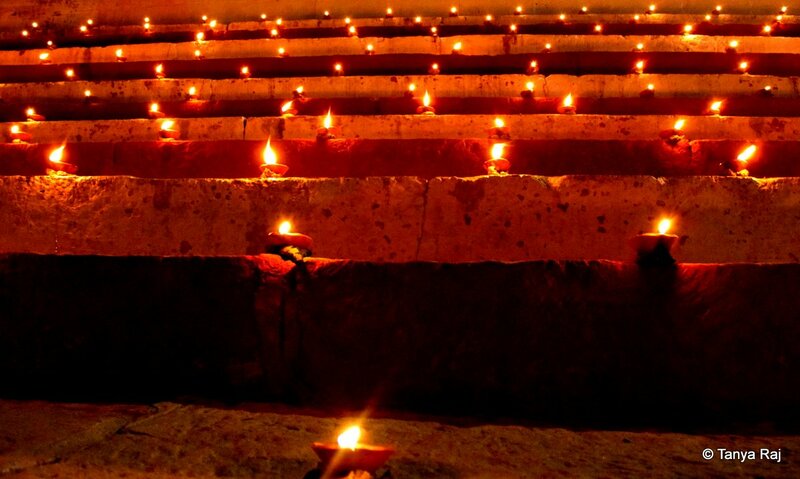 The soft glow of the lamps brings an ethereal charm to this already beautiful place. 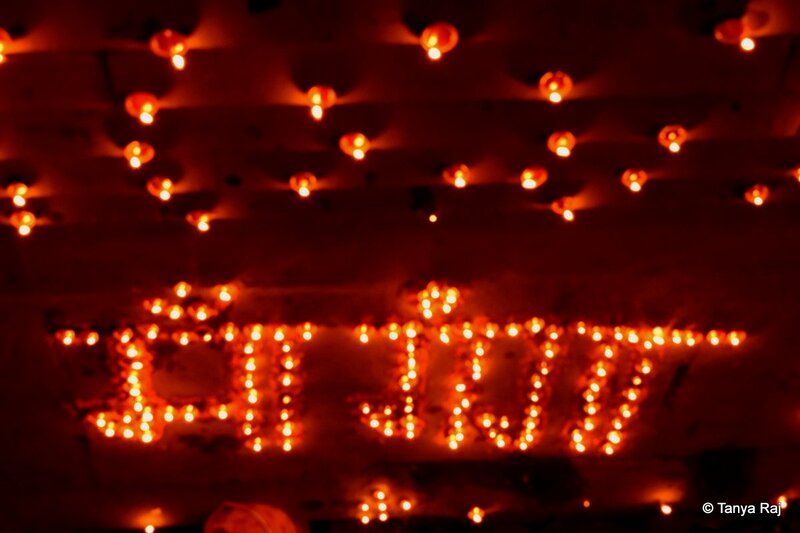 Some even spell out the deities that they wish to honour. 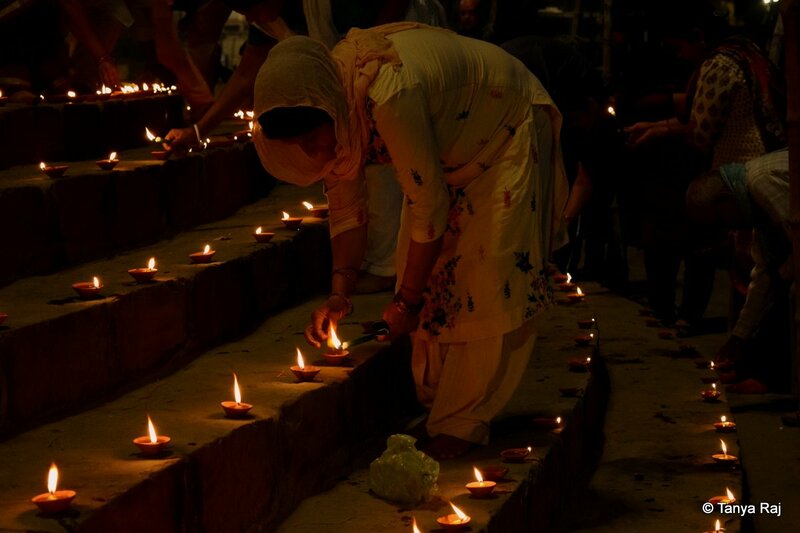 People come together to lend a helping hand in lighting up the ghats. 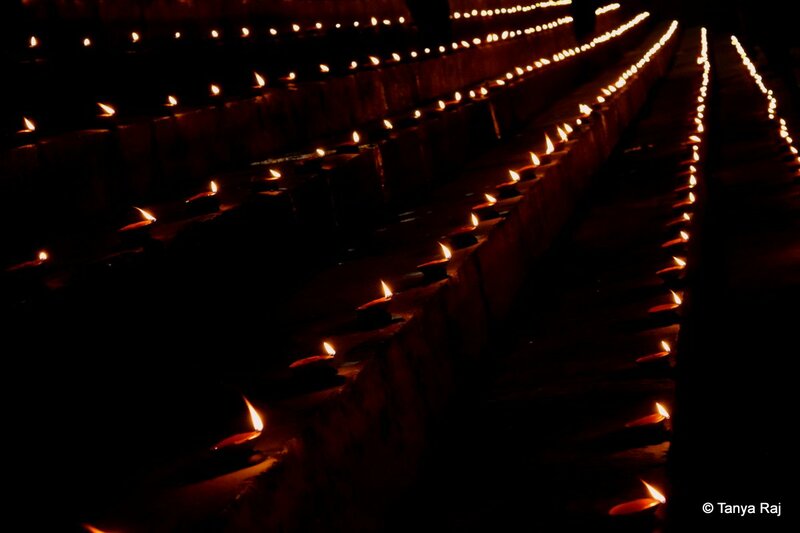 Sections of the ghats are lit up by various people who take responsibility for it. 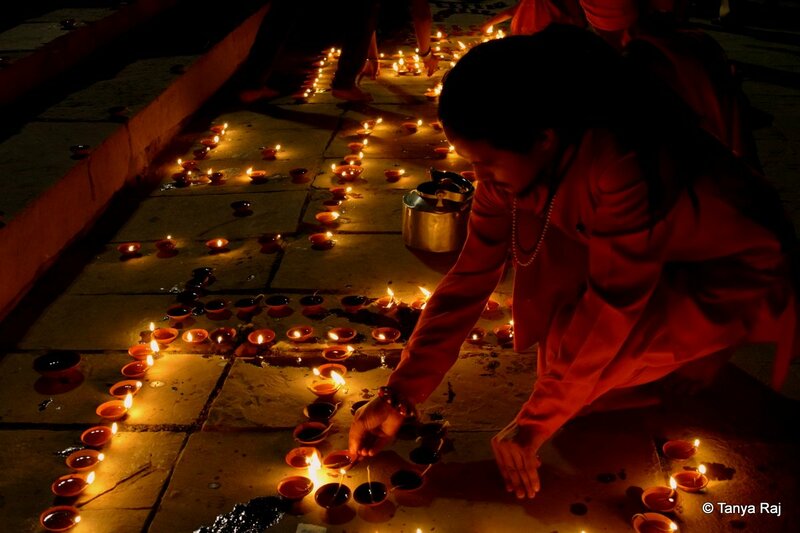 A priest helps in lighting up the lamps. Here, a small priest in training makes his contribution. 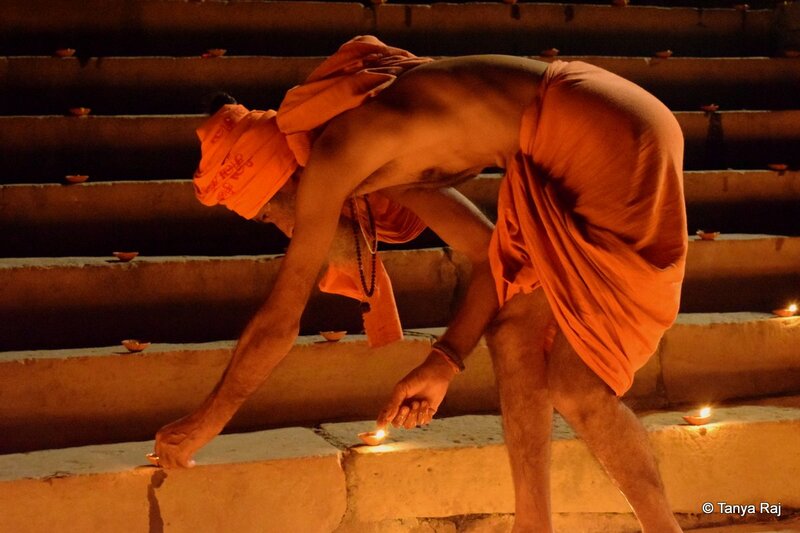 Old or young, the devotion of these people is almost fascinating. 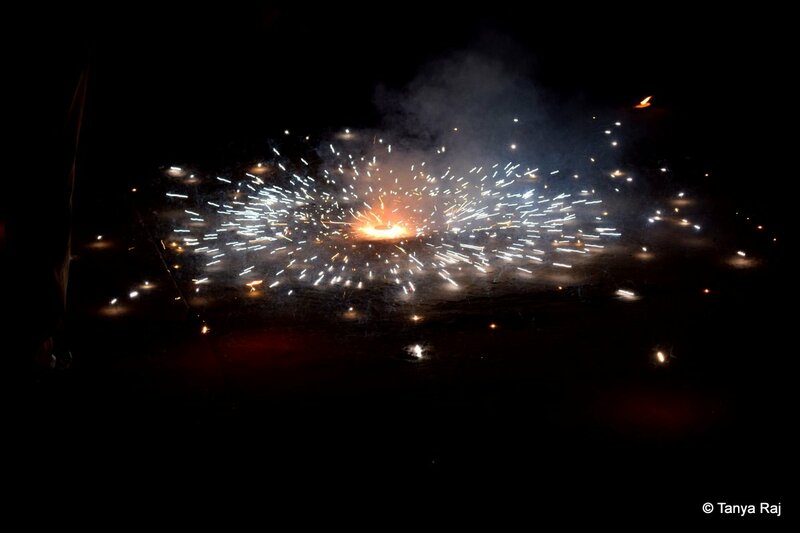 A firecracker is lit up which swirls its way across the yard. 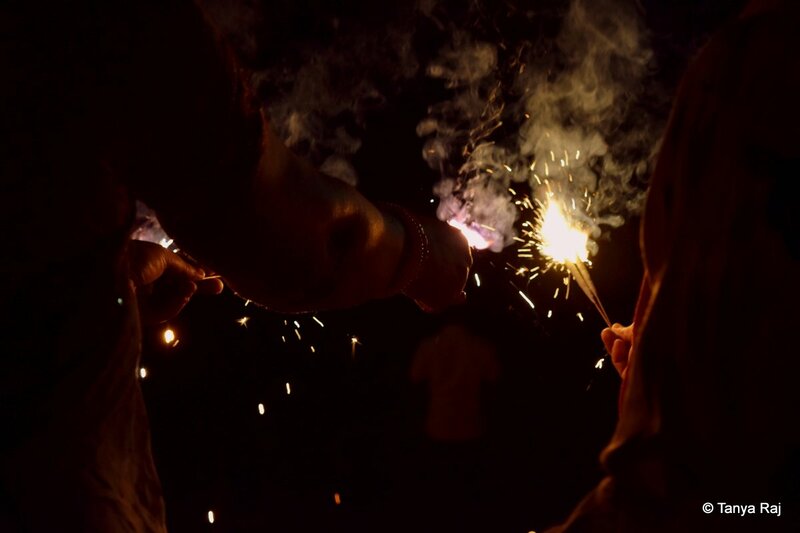 People hold phuljhadi cracker to celebrate in their own ways. 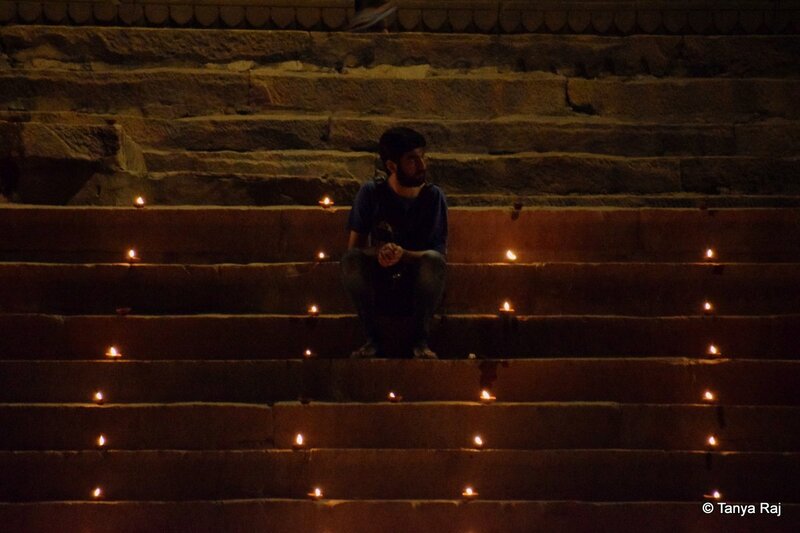 A man enjoys the beauty of the evening among the lit ghats.